Unlike when you are sharing a drink with a friend, backwashing is A-OK to do and it is even encouraged. In pool terms, backwashing is the act of reversing the flow of water through your filter media, thereby dislodging trapped debris and flushing it out through your multiport valve waste line. For anyone needing a detailed walkthrough on how to backwash a sand or DE filter, look no further than our how-to guides on backwashing a sand filter, or DE filter. For the visual learners out there, you can watch our how-to backwash video guides embedded below. But enough about what backwashing is, let us get to the meat of the issue. When should you backwash your pool filter? An increase of a quater or a third of your filter’s “clean” operating pressure is a sign of a dirty filter. Pounds per square inch (psi) is a standard unit for measuring pressure and the most common factor used in determining when to backwash a pool filter. A filter’s pressure gauge is the tool used to measure a filter’s psi. 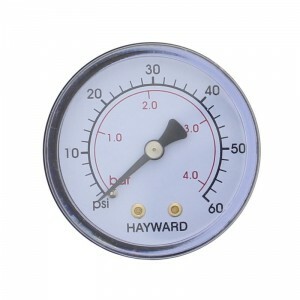 The face of the gauge is clearly marked off in increments of ones or tens and normally has a maximum value of 50-60 psi. The “clean” psi rating for individual pools will differ due to variables such as filter size, pump strength and feet of head. The “normal” pressure is the baseline psi reading after a heavy filter cleaning cycle or after the installation of new filter media (new sand or recharged DE grids). For example, if your normal baseline psi reading is 12 psi then when your gauge reads 15-16 psi (20 – 25 percent psi above your filter’s normal operating pressure) it is time to backwash your pool filter. There are two types of pressure gauges generally used on filters: dry case and liquid (oil) filled. The dry case gauges are by far the more common and often the type that is packaged with a brand new filter. The liquid filled gauges are my personal favorite as they prove to be more durable than dry case gauges. The liquid (glycerine or silicone) dampens the vibrations which are the archenemy of the fragile innards of the pressure gauge. There are two common flowmeter styles used on residential pools. The one is the float and tube and the other is a digital format that uses a paddle-wheel mechanism to measure the flow. The float and tube is my personal preference because of the minimal moving parts. Fewer moving parts mean fewer things can go wrong. Digital flowmeters are super accurate, but for the simple practice of determining when to backwash a pool filter they may be overkill. 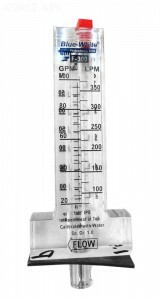 Flowmeters are tools that you can use to determine the health of your pool quickly and easily. Unfortunately, they are often overlooked or left out of pool designs. The reason for this escapes me, but I make sure to tell anyone who is building a pool to add a flowmeter. If your existing pool does not have a flowmeter, do not fret, because they are easily added to plumbing lines. For those who are curious, feel free to read our how-to guide on installing a pool water flowmeter. Measuring a pool’s total dissolved solids (TDS) level is to measure its water clarity or lack thereof due to suspended particles. Essentially it is measuring how dirty your water is down to the parts per million (PPM). A freshwater pool should not exceed 2,000 PPM, because anything higher risks sanitation chemicals, like chlorine, losing their effectiveness. The most common method of measuring TDS is by checking the water for a “cloudy” appearance or testing water samples. Most local pool stores offer free water testing services, but for DIY guys and gals a home kit is just as effective. 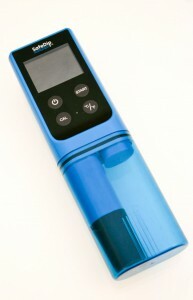 The SafeDip 6-in-1 Electronic Tester measures TDS levels as well as free chlorine, pH, ORP, saline levels and temperature. It is a one-stop shop for avid water testers. As usual, thank you for reading and if you have any further questions feel free to leave a comment below or call our toll-free helpline at 877-372-6038. Ideally do you want to backwash before or after adding chemicals or does that even matter? You want to backwash before adding chemicals; if you backwash after adding chemicals, you will drain portions of the doses you just added to your pool. IS there a time frame? 24 hrs after adding chemicals? Yes, that should be long enough. What is the required psi bar for Back wash sand filter? If you’re asking what is the minimum PSI required to backwash, it is going to depend on your system, and how dirty your filter is. If you have a dual speed motor, I would backwash on high speed. With a variable speed pump, I would backwash the filter on the same speed you use to vacuum your pool. I added chemicals to my pool cause I just opened it and my psi is reading 20 it normally stays at 30 what should I do? Is it a sand or DE filter? What chemicals did you add? When was the last time you backwashed? Do the returns shows a noticeable change in waterflow? I have a new pool with a sand filter. Do I need to backwash it immediately? Backwashing fresh sand is OK, if only to expel any sand that got into your plumbing during the sand pouring. Until the filter’s sight glass is clear or debris. You’re going to lose the chemicals by them killing bacteria or being affected by your green pool, so it just has to be done. It is going to be the same schedule we mentioned in the article. Is it best practice to close any of the valves (return or drain) for the pool while backwashing, or can I leave them all open? Depending on how quick your pool drains, you may want to close the skimmer and pull from the main drain only. While backwashing, your water level may dip below the skimmer causing you to lose prime. I Have a Doughboy 18′ round pool, with sand filter. The filter has backwash only, no rinse or site glass to see when water is clear. Any recommendations on how to know when I’ve backwashed enough? Will residual sand spit into pool since I have no rinse option? What is the model number of the filter/valve assembly? I have to vacuum the pool everyday because I am always getting sand in my pool is that normal? Do you know if the sand is coming from an outside source, or the sand coming from your pool filter? If the sand is coming from an outside source, then yes, that is somewhat normal. if the sand is coming from the sand filter, then no, that is not normal and a sign of a cracked laterals or a standpipe. To figure out the latter, have a read of this blog: Sand in Your Pool? Is your water turning green? What is your chlorine and CYA level? If your PSI level is staying less than 8 above it’s baseline for weeks, should you just go ahead and backwash once a week or so regardless or is it ok to wait until it actually goes up the 8 psi? I think the article says that if the PSI rises by a quarter or a third of the baseline then you should backwash it. Unless you start seeing ill-effects of a dirty filter like low suction pressure then it should be ok to skip a week. I could use some insight if anyone has any. I bought something at Home Depot to raise the PH Level in my in ground salt water pool and not sure if it has anything to do with it or just bad timing, but I now seem to have sand in the bottom of the pool and very little pressure on the filter. I have backwashed and rinsed but the viewing ball is completely green and doesn’t seem to be getting any clearer..
To get an idea what we are working with, we would your latest water test results. Algae like high pH, so if you add too much PH increaser, you inadvertently started an algae farm. The low suction and the green sight glass sounds like your filter is clogged with algae. You have to kill the algae, and clear the dead remnants before things get better. The sand in the bottom of the pool could be that you filter is so clogged that it can’t pull it into the filter. Or, something like a lateral or standpipe is broken in your filter. When was the last time you changed the sand or hosed off or chemically soaked the DE grids? Can you please help. I have just purchased a house which has a pool. I am a complete novice! I attempted a backwash and water spurted everywhere. The waste water has an inline valve which was frozen closed. I replaced the valve and this time water spurted out at the join between the filter box and the outlet pipe. I would have thought that the waste water would not be under pressure. So my question is , Why is the water under pressure? Your wastewater is going to pump out the same strength as if your valve was set to normal filtering. The only difference is that the valve is diverting to the waste port instead of the return line. By the way you describe this leak, there could be a bad bulkhead fitting or a crack in the filter casing. or you could use some teflon tape and a new oring to seal the joint. You may want to try posting this question in Inyo’s Forum so you can post pictures along with your summary of the issue. Good question. I guess it couldn’t hurt to do a backwash before adding your spring cleaning chemicals. If only, to churn up compact sand and eject the super old crud that has been sitting in your filter. We are having to backwash daily to keep optimal flow. What should we do? It would help to know what type of filter it is. But if the sand has been in there for a few years, then you probably need to change the sand. If it is a DE filter, you may be putting in too much DE, not backwashing thoroughly enough, or need to give old DE grids a chemical soak. Opening my first pool. 14000 gallon. I have a de filter and my water is very hard and rusty. How often should I expect to backwash my filter? It’s been running for about 3 hours now and my pressure is starting to climb. Is a lot of backwashing normal for a circumstance like this? There should be no flow coming out of the backwash after you switch the setting to normal filter. The diverter and spider gasket should seal off any ports that wouldn’t be specifically used by the setting selected on the valve. i.e. backwash should be dry when filter mode is selected. It sounds like you have a leak, read this: Why Is My Multiport Valve Leaking? I have a question regarding the use of flocculent. The label says to run the vacuum with the waste or drain setting on, wouldn’t that deplete the water of the pool (and flood my yard in the process)? I’m fairly new to the pool owning process, I bought a house with a pool where it was open two years prior when we moved in. Last year the cover ripped, and I couldn’t get the pool clean the whole season. This past winter, I didn’t even bother closing it, and now I’m trying to open it, and I’m at a loss for how to get the pool clean. 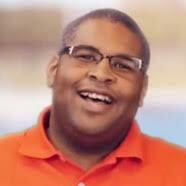 But I’m nervous as I’m reading that I putting everything I’m sucking up with my vacuum back into my pool. Any advice would be helpful! The Floc & Vac technique does wastewater and it is a drawback of using it but it works. When the floc is applied it should drop all the dirt to the bottom and that’s when you use the manual vacuum to scoop it up quick to send it to waste. The process of vacuuming up the debris should be quick enough that you are not draining your water below your skimmer. Or you can use a broom/sweep to push all the gunk towards the main drain. I’d suggest closing your skimmer if you do this technique. My inground pool is very full so I don’t think the skimmer is working well. Already added liquid chlorine. Okay to backwash or just let the pump run as is and backwash after 24 hours? Return valves working okay. If your water levels are high, that would not necessarily mean that an issue with your skimmer. If you have had excessive rain recently that will cause pools to have high water levels. If you need to drain a portion of your water, use the drain setting on the filter valve. Thank you for the very clear explanation. 15-16 is only 3 to 4 psi above 12, not 8 to 10. Am I misunderstanding you, or is this a typo? This is a typo, it should have read 20-25 percent above the normal operating pressure. But if you pool water is that dirty, you have a lot of filtering and shocking to do. You are going to be backwashing often because your filter is going to get caked with that gunk pretty quickly. Is that why returns almost come to a stop? The filter needs to be backwashed and new DE added? I feel like I am backwashing constantly and adding shock to try to get the water clear? If your water is greenish, and you are battling it with chlorine, then your filter is probably dealing with loads of alive and dead algae. You are going to fighting that backwash battle until the green is gone. When the green is gone, and the pool is just cloudy, then you are out of the danger zone. The cloudiness is just dead algae you need to get rid of. If you are backwashing constantly and adding shock/chems a lot….could it be you need to do what some call a “split and clean”? Open the pump and clean out the filters/septums manually…even though not leaking DE into pool? OR could it be the chemicals aren’t right…use an ALL-IN-ONE algaecide in addition to the shock/chlorine? How do you know if it is one or the other approach? Doing a thorough clean of the equipment wouldn’t hurt. Also, using old or spoiled chemicals is going to make the algae killing process impossible. Buy some fresh chlorine, algaecide, and make sure the pH and alkalinity are balanced. My aunt has a sand filter and I just vacuumed her pool yesterday but forgot to backwash afterwards. The pool wasn’t terribly dirty just some leaves and dirt. I plan on doing the backwash when I go back next week. My question is will one week without backwashing the dirt out affect the filter’s performance or impact it’s longevity much? Thanks. No, it should not affect the filter in any demonstrable way. My lever on my sandpro filter broke, (can’t buy the part anymore have to replace whole filter) it is in the filter position. For the time being, is there a way to backwash without putting in backwash position?? I’m confused between the two terms: Backwash vs. Filter Clean. When should you backwash vs. when should you clean the filter, i.e. remove the grids and hose everything down (if DE add new DE).